Precursor: I've started working on a brand new story idea, so I think I'm going to take the main character from that in an attempt to flesh her out a little bit. The idea is based on a dream I had (and actually remembered!! Seriously, when in my life does that actually happen?? ), and I have yet to do some actual work on it. As a result, the character is very one-dimensional and will probably come off as such in this exercise. I'm ok with it. Charlotte Ferris wants to fall in love. It has been her life's aspiration to find that "special someone" who will fulfill all of her Disney-influenced desires. Growing up with movies like "Beauty and the Beast," "The Little Mermaid," and "Snow White" made it clear to her that love is the most important thing in this world, and if she didn't have it then she was obviously lacking. Lacking in what, she didn't know, but lacking nonetheless. 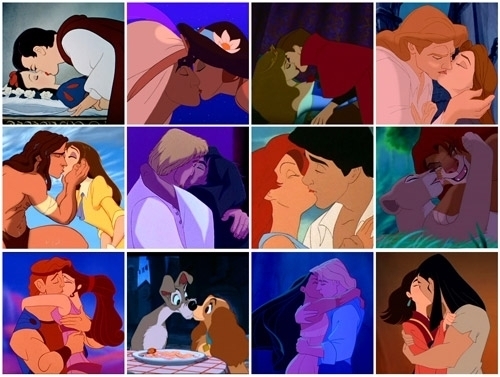 Someday my prince will come....................? Well into her twenties, however, she finds herself alone and unhappy, all too eager to find that man who will whisk her off her feet, saving her from a wicked stepmother, or kiss her out of her apple- (or evil spindle-) induced coma. She truly believes that this will happen in her life. The twist to this story is that no one knows about her need for romance. She hides it from everyone (including herself from time to time), because deep down she knows that Disney romance, no matter how appealing it is, doesn't exist. She prefers to live in her fantasy world every once in a while, separate from reality, in which Prince Charming is real - tangible - and come back to real life when she needs to get stuff done. There is danger in that way of life, but she likes to think that she walks that line expertly every day (even though she really doesn't). And that's that. Since I failed last week and only posted once, I'm going to step it up this week and post TWICE. In one week. Think big, Stef... Think big. I'm hoping eventually to get back up to at least 4 posts per week, but we'll see how that goes. Powers That Be @ CRACKED: Hmm... Don't like it. Try again. Powers: Hmm... That has potential. Write it, and we'll talk. Stef: Done! How do you like it? Powers: Meh... It's alright. We're going to edit it and then post it on the site. Here's $50. Come back to us when you have another idea. Stef: Alright. Errr... Cool. Thanks. And that's that. I have one idea that I'm working on at the moment, and I'm thinking it's going to be pretty good. I like the fact that I can write an article in which it is expected that I curse in it at least once, preferably while making an off-color joke about penises or farts. It's right down my alley, really. I'd like to do some fiction since I am locked in the article and blogging reflection mode. Your post may help. Having a secret yearning means depth and purpose. Very cool about Cracked! I love your posts, and its encouraging to see other struggling writers doing well.